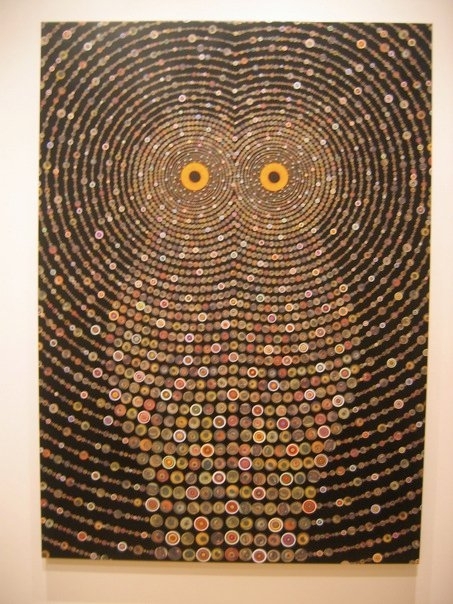 Watch as the Los Galeristas chek out Fred Tomaselli’s mind-blowing collages and layered paintings, and ask why female artists haven’t been regarded as having done anything with popular imagery as powerful as the work of Andy Warhol, Roy Lichtenstein or James Rosenquist. Then Los Galeristas head over to Factory Fresh in Bushwick to check out the artists Roman Klonek and Jim Avignon for their unusual breed of pop art in Speedy Wonderland while seeing tons of great Street Art along the way. Click here to see all the fun!